Internet has fast-paced the way we do business and the advent of technological advancements like Web 2.0 have necessitated the websites to get built in the shortest possible times and stay updated with the latest technology. In short, the project time has become an increasingly important factor in deciding your choice of technology and the technology expert for your web development project. You’re more likely than not, to be gearing up to starting your new web application project, if you happen to read this post. As a business person, you may not be aware of the technical nitty-gritties, but with the application of simple business logic, you can understand that writing a completely new program code for your web development project is going to be quite time taking. This is bound to result in longer development time to realize your web project. Coding from the scratch is also more likely to result into errors, need for extensive testing, further leading to project delay and additional costs incurred. 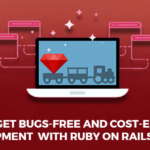 RoR is an amazing framework that offers an elaborate library of gems to enable shorter development cycles, given the fact that the project is executed by an expert Rails Developer. 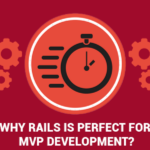 How an expert rails developer helps you reduce the project time? With the knowledge of all possible gems available in the gems library, the developer can plan your project in the minimum possible number of steps involved and this shortens the time possibly taken with a ‘trial and error’ approach or building each feature and function from the scratch. With all the time that would otherwise get wasted in trial and error, the expert developer will test and reiterate to improve your application for achieving improved market effectiveness. 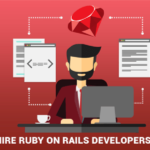 Leveraging their experience to make the most out of the Rails technology, an expert developer will ensure the development of a robust application making the most of the robust Ruby on Rails framework. 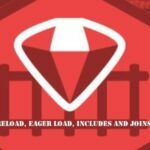 The outstanding principles Ruby on Rails framework follows, such as ‘convention over configuration’ and ‘do not repeat yourself’ and a host of its preset configurations and defaults, allow your developer to reduce the project time significantly, provided they are well-versed with making the best use of these. And hence, the need for a thorough expert in this technology to ensure this happens. Rails framework is reliable when it comes to programming a functional web application in less amount of time. 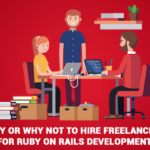 With the years of experience working on Rails technology in combination with advanced solutions in content management, cloud services and specialized expertise at web application development, an expert development agency such as RailsCarma can ensure highly efficient and tailored web app development solution to cater to your business needs. At RailsCarma, the experts enhance the efficiency of your web app development project with the agile project management the organization has adopted. Want to learn more about how you can build a web application that reaps high return on your digital investment? Get in touch with us now for more details.